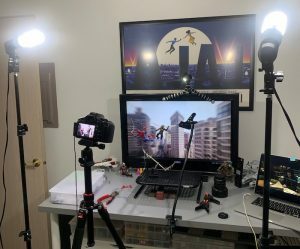 Earlier this month, Shelly wrote about singing the toy photography blues as she steps out of her comfort zone. I truly feel fo her when it comes to leaving photography sessions with more frustration than photos. Yet I couldn’t help but notice that despite having a few similar things on our plates, I’m experiencing the opposite. 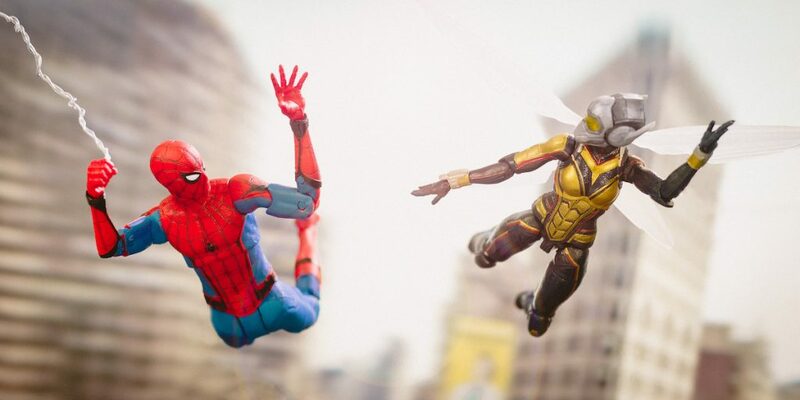 I guess you could say I’m playing toy photography jazz. Like Shelly, it’s been raining frequently (we only live 3 hours apart, after all), and I just got a new camera lens. My wife and I are even seriously considering getting a dog! But for me, those things have helped get 2019 off to a great start artistically. I started developing a solid photography rhythm toward the end of last year. I was experimenting and pushing my limits, trying out new toys for my subjects and finally committing to learning some of the technical aspects of photography. 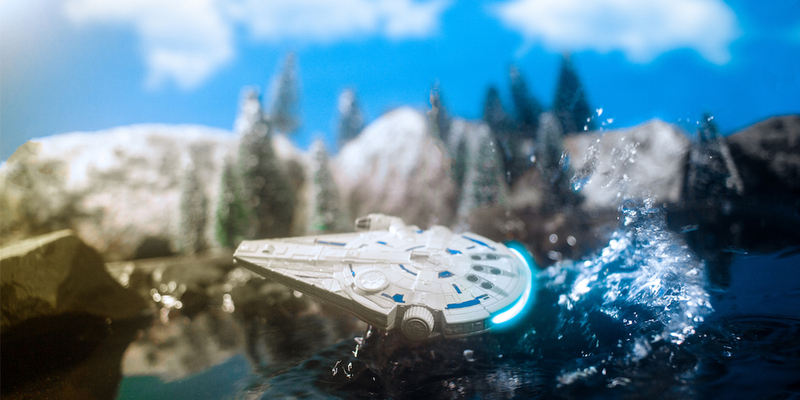 This is the most fun toy photography has ever been for me, and that’s giving me an adrenaline rush of creative energy. As I’ve found my rhythm, I think I’ve also finally discovered my personal style. In the 5+ years I’ve been doing toy photography, I’ve always felt that my work didn’t really reflect my artistic vision or truly stand out as my own. Now that I know how to capture the photos in my imagination, I find myself with not only more confidence, but more to say. By learning how to confidently control things like aperture, lighting, and composition, I’m able to utilize them to tell stories through my photos. As a result, I find myself experimenting and tinkering even more in the new year. The weather has largely kept me indoors (even more than usual) which has meant more time in my studio. I’ve written before about creating other worlds through indoor setups, and am looking to improve my dioramas in 2019. I’ve rearranged some of my office space, and now have a storage area for supplies and two tables to photograph on. I also took an extra TV we had out of storage, and have been using it for digital backgrounds. 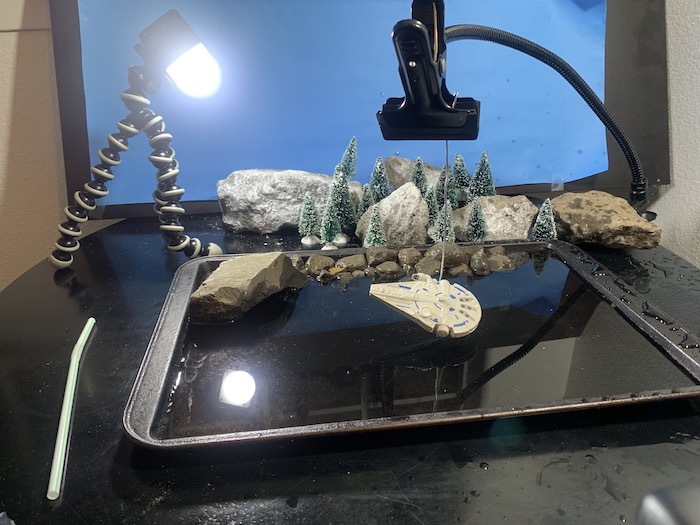 This week, I had a lake and mountain scene on one table (using some stolen borrowed rocks and a cookie sheet) and a New York skyline on the other. I’m excited to see where the new things I’ve learned take me in the New Year. And I sincerely hope that anyone in a creative rut finds their way back to a place of positive photographic energy. It’s a good feeling, and I’m going to enjoy it while it lasts. This year on the blog my goal is to share more about my process and work inside the studio. If you have anything specific you’d like me to discuss or even try, let me know in the comments below! Very nice, I’ve had issues this winter with feeling motivated to take pictures. my inside shots always feel a little bland to me after seeing what you some other people do. I feel like i need to up my game lol. I used to really struggle with capturing photos indoors that I was happy with. I think the best thing is to just keep trying and experimenting, especially with lighting. Once I managed to figure out how to light my shots, then I was able to move onto things like building up complicated backgrounds and dioramas. Just have fun, and keep shooting! Thank you so much, Lynn! I know I’ll find myself in a rut again eventually, so I’m just trying to ride this wave while I can. Hopefully your creative slump lets up soon!